Charleston, S.C., voted to formally apologize for its role in promoting and upholding the institution of slavery, but the move wasn’t without controversy. Charleston, S.C., voted to formally apologize for its role in promoting and upholding slavery, but the move wasn’t without controversy. Once a major seaport for the slave trade, the Charleston City Council voted 7-5 to adopt a measure to apologize for supporting and defending the institution, while committing to tolerance and racial reconciliation in the future after several hours of debate, according to the Post and Courier. The resolution was rife with symbolism, according to Time magazine. It was voted on by a majority-white council in a city hall built by slaves. The meeting was held less than a mile from the wharf where salve ships unloaded their human cargo. 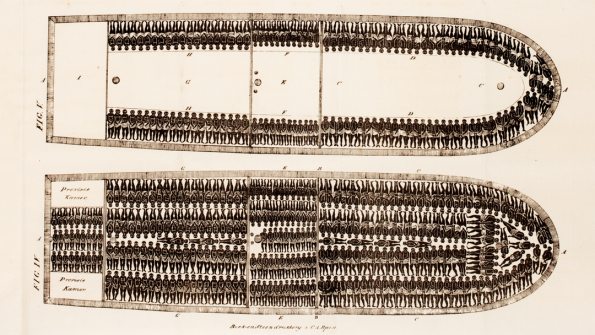 Nearly half of African slaves shipped to the U.S. first came through Charleston, according to ABC. Slaves made up almost half of the city’s population at the inception of the civil war. The three-page document explicitly takes responsibility for the dehumanizing atrocities of slavery condoned by the city for hundreds of years. It details how the economic success of colonial and antebellum Charleston was due to slave labor, and admits how slavery as an institution "sought to suppress, if not destroy, the cultural and social values of Africans by stripping Africans of their ancestral names and customs, humiliating and brutalizing them through sexual exploitation, and selling African relatives apart from one another without regard to the connection of the family," according to ABC. The measure was overwhelmingly supported by residents who filled the meeting to capacity, with 50 individuals signing up to speak; almost all in favor of passing it. Mayor John Tecklenberg also spoke out in support, according to the Post and Courier. "This city was so enamored with [slavery], or so intertwined with it, that we even started a war — a civil war — in this city to fight over it," he said, the paper reports. "The vestiges of slavery and discrimination are still with us even today … repentance is our way to put us back on track." Opposition to the resolution was two-fold. Some councilmembers voted “no” because they didn’t want to apologize for something they had no part in, and others argued they couldn’t support the resolution because it didn’t do enough to address the problems of today, the Post and Courier reports. In a surprising move, Harry Griffin, who helped draft the measure, voted against it. To a chorus of groans from the audience, he said he wanted the city to denounce slavery, not apologize for it, the paper reports. "The majority of Charlestonians that I talked to, from personal experiences, were not willing to apologize for something they did not take a part in," he said, per the Post and Courier. Bill Moody, a councilmember who voted “no” said, “it is an attempt to make us feel good with words, but not resolve our problems with results,” according to the paper. Councilman Robert Mitchell, one of the longest-serving black council members, agreed the city needs to do more to address racism and injustice, but didn't feel that was reason to vote against this particular measure. "We have to start somewhere, and if we start with this resolution, we as council members can make changes tomorrow on other things dealing with economic development and everything else," Mitchell said, according to the paper, drawing applause from the crowd.